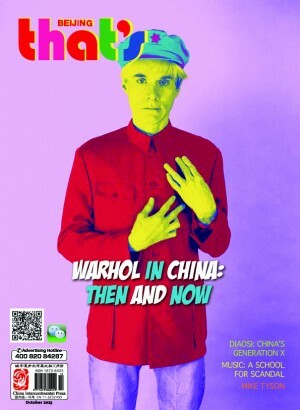 It was really a disco trip to Hong Kong,” Christopher Makos explains. “Alfred Siu had commissioned Andy for the Prince Charles and Lady Di portraits to decorate his new club in Hong Kong, and then surprised us with the Beijing trip. We all were actually surprised. And excited to see mainland China. "Here’s the guy that did the Campbell’s soup can – he was all about the multiplicity of things, and here was a whole lifestyle based on that idea"